Harper Corporation of America offers the world’s one and only WalkingSeminar™, a customized technical session where customers can get solutions to specific problems and a tour of a state-of-the-art Harper manufacturing facility. From our Anilox Roll Division, we manufacture and restore rolls designed for better surface transfer, greater volume transfer, higher line screen precision, more consistency, faster speeds, and finest accuracy available in the market. 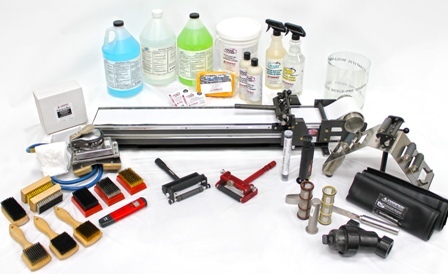 To ensure you get the most from our products, our HarperScientific Division offers a complete line of cleaning and maintenance tools and supplies. And to protect your investment—sleeves and storage systems. From our HEX division, we offer Plate Sleeves and Bridge Sleeves that have been especially designed to decrease downtime and minimize make ready.